Escape from Lost Island is rated 3.3 out of 5 by 10. Rated 5 out of 5 by smilingsun72 from Simply relaxing and fun! I like this game because it's relaxing. No timers! And finding the items can be challenging. The graphics and music are good. The story line is interesting, though you have to read it. Rated 5 out of 5 by annettemclarney from Worth Buying Lots of Fun I enjoyed this game. Didn't need a strategy guide to play the game which is a joy! Rated 4 out of 5 by fredandethel from Difficut but enjoyable I love HO games with key objects - click on one and a ring of other objects to find opens up. You also have to think a bit with this one, for instance, you may need to find several coils of rope or vines, but they won't be coiled, look for them just strung through the trees. Some objects are impossible to find - I've made notes of the worst ones so that when I replay I don't spend so much time waiting for the hint to refill, although many of the scenes are pretty enough and detailed enough for me to enjoy just studying them while I wait! Rated 4 out of 5 by coolang1989 from PRETTY GOOD GAME At first when I saw this game I thought I wasn't going to like it but I really did. At the beginning a girl has to escape from a sinking ship and you have to prepare her for her escape. Then she arrives on an unknown island and has to do a series of things to keep her out of trouble. I am only about half way finished but thought I would write my review now because I really enjoy playing this one. Rated 3 out of 5 by pennmom36 from Escape from Lost Island You are onboard a cruiseship enjoying sun and fun when the unthinkable happens, the ship hits a reef and begins to sink! While you are able to keep a calm head and assess the situation, you eventually make it to an island inhabited by natives who they invite you to dinner as the main course, and you must escape. 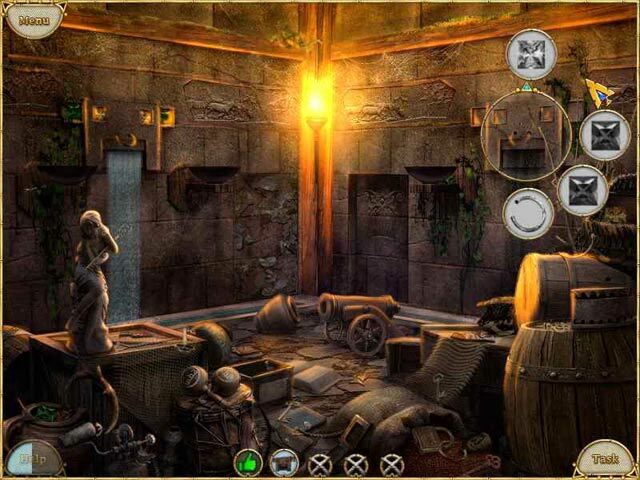 This is a seek and find game where you must read the dialog to find out your next task, such as building shelter. You click on the main item which will show you several items in circles around the main item which you will have to find and drag to the main circle. This will be repeated several times in each scene with different goals, until all items are found and then you complete a Mini Game. You may have to click on flying macaws to chase them away or rebuild several circuits as you rotate several tokens until a complete connection is made from top to bottom and all lights are on. 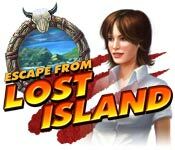 Rated 3 out of 5 by mrm2006 from Easy to Lose your mind on THIS Lost Island. The storyline very basic. Your on a cruise ship when it catches fire. You need to get OUT of your cabin (NOT an easy task) .....only to find the ship is on fire .... which YOU apparently need to point out ...... everyone's gone already ...... but you need to get the last lifeboat into the water (NOT an easy task) ..... and it just continues from there. The graphics were not great. At times, the background was so dark the objects were difficult to find without using the "help/hint" button. I muted the music so I can't comment on that. No voice overs at all but a LOT of reading. Without the music, it made it very tiring to play. In fact, I found myself falling asleep - lol. There is NO tutorial. NO difficulty modes. No .... anything. The object of the game is basically to find objects. For instance, you begin in your cabin when you realize you need to evacuate the ship. In order to do so, you must find a sheet PLETHORA of objects. On the bottom of the screen are 5 circles. Click on the circle and a large circle will appear on the screen with several objects around it. You need to find THOSE objects. Finish THAT circle, click on the next on the bottom of the screen and complete the process again .... and again .... and again - 5x ..... in every scene. It gets .... boring ..... fast. Especially since there's NO color, whatsoever, in those circles of objects you need to find. You progress to the outside of the cabin to find the ship on the fire and repeat the above process. Repeat the process again when you find the lifeboat and again when you reach the island and again and again and again. Boring. This game is NOT entertaining at all. 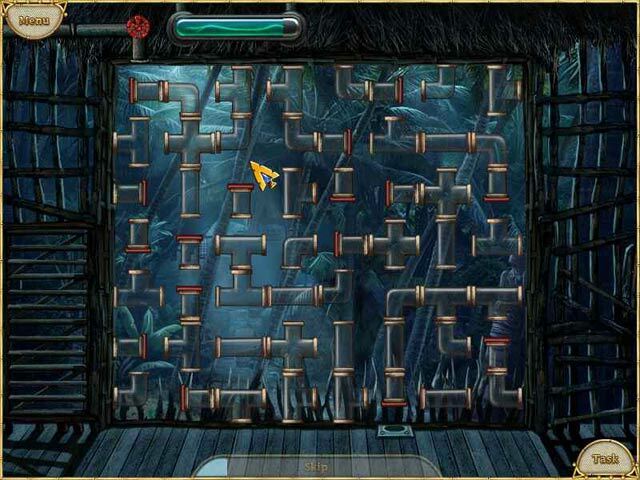 The mini games appear after each "level". A "level" consists of completing a scene/room by finding everything in a "circle" 5x. Boring. But, the mini games were fun, innovative and sometimes required patience and perseverance. Definitely the best part of this game. Because of the non-entertainment value of the game. The boring storyline. The boring game. This will NOT be a purchase for me. I recommend it for anyone to try. It's just not MY cup of tea. ENJOY! Rated 3 out of 5 by woodspinner from Mostly just an HOS game No real story here and not many mini games. Lots and lots of HOS and a lot of the object are really teeny and almost hidden behind something else. For what it's supposed to be, it serves the purpose. Rated 2 out of 5 by Beccapigen from Pretty but boring This game is awful. Very pretty graphics, but there is no challenge in it. You don't get to navigate, you don't get to put things together yourself, you just pick things up and that's it. The storyline is ridiculous. There are a couple of half-decent mini-games, but nowhere near enough to make it interesting. Also, it took me about two hours to get through the whole thing. Save your money. 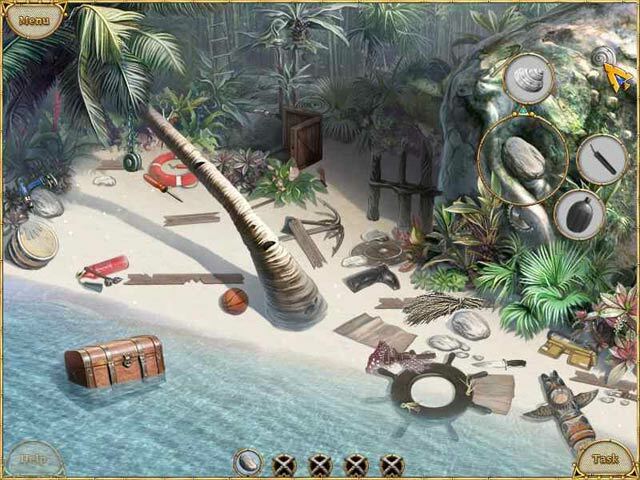 Rated 2 out of 5 by cmjones99 from Don't waste your time or money The hidden objects were difficult to find - I used a lot of hints. The other puzzles were okay, nothing great. And the story line was just dumb. The music was like 4 bars long, over and over. Rated 2 out of 5 by FishyFemale from There are far better island rescue games than this one It's called Lost Island for a reason. No one wants to find it. I only played the demo but found no redeeming features. Nonsensical plot has a lone passenger of a sinking cruise ship (how did everyone else leave?) having to use catapults to put out fires (why if it's sinking?) before leaving the ship. Then she gets captured by natives but is still able to get around the island finding things to do. These things are in the form of objects to find but they're the kind where you click on an area and five circles appear with a single item in each one. Once you find all of them, that "task" is done. You now have the fun job of doing four more tasks in the same scene with four different areas containing the five circles...yada yada yada. It's a lather, rinse, repeat kind of game with slow movement between scenes and zero movement of storyline. Try it and see for yourself. The artwork is not bad to look at but the items to find are frequently very small or in dark places. There are no voiceovers but you get to hear dentist office music throughout. This game is very old and plays like it too. The developer is known for sometimes quirky storylines and humorous touches but this game doesn't have any of that. I just found it odd and boring. Read the forum reviews to find out more if you're that curious but really, there are far better games to spend your money or free coupons on. It’s a fight to stay alive! Use your wits to find shelter, avert pirates, and signal civilization to organize your rescue.